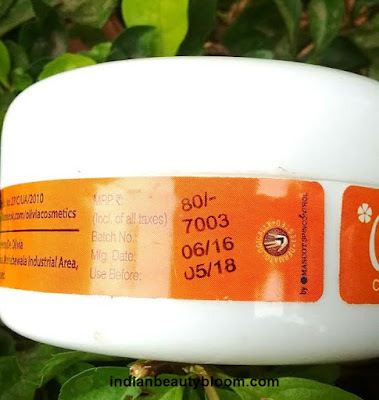 It’s their Chandan Face Pack Review . Olivia Chandan Face Pack is a type of face pack made from Sandalwood extracts & Glycerin . It moisturizes and tones the skin and makes it soft . 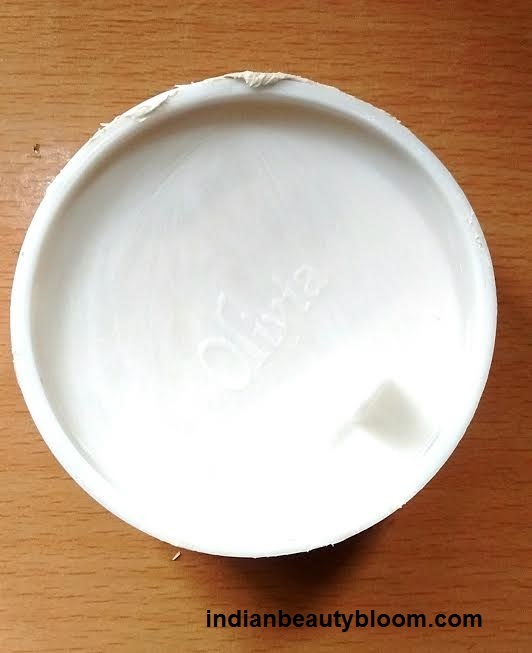 The product is a white color thick face mask . 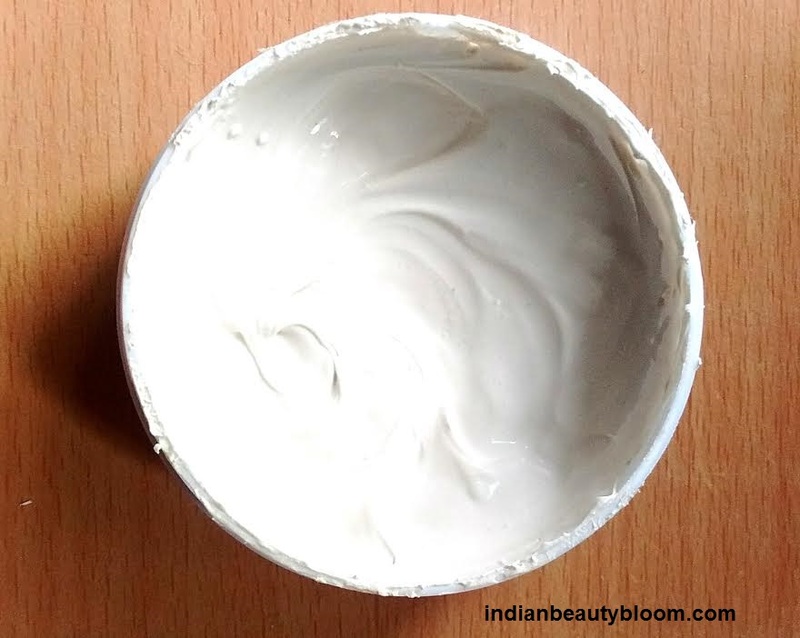 One needs to wash and clean face and then apply a thick layer of this on their face and leave it for 20 minutes to dry and after that one needs to wash it off with plenty of water . One feels fresh after using this as it removes all dirt and oil from face and face looks clean and bright . 1. The product is effective as it removes all oil from face so ideal for oily skin . 2.Contains Snadal wood extract and Glycerin both of which are good for skin . 3.Product packaging is good . 4.Shelf Life is sufficient for long use . This is not a herbal or Organic product so is not chemical free . 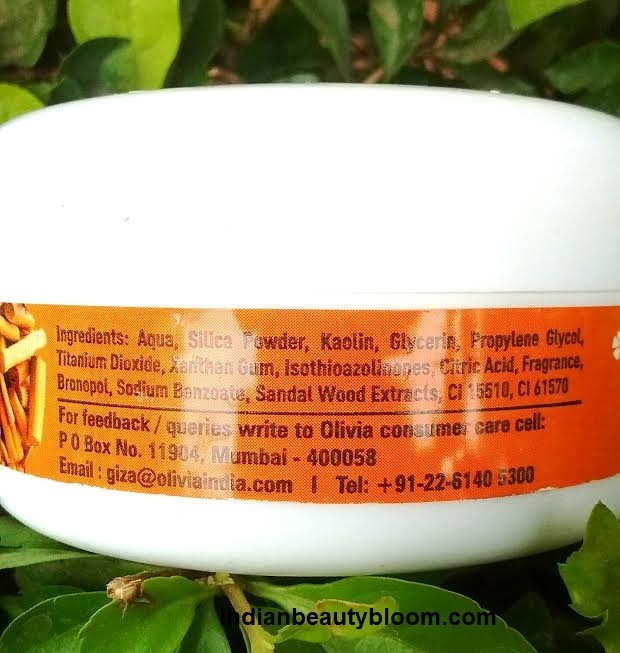 Not for people who look for chemical free product . The product claims to moisturize and soften the skin . It also claims that it tones the skin and makes it soft . I have used this face pack , it’s a good product in affordable range . Since my skin type is oily I always look for products which are ideal for oily skin and this one does it’s work well , helps to reduce oil from face . It’s a thick face mask , once dry it needs to be washed off with plenty of water . 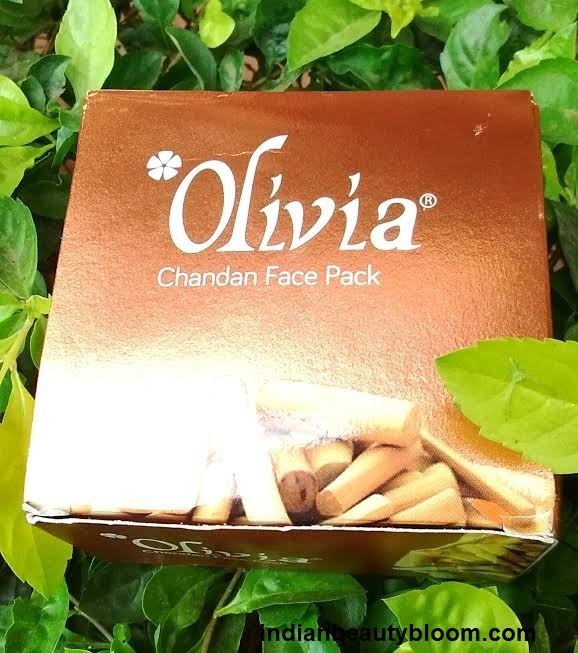 One can buy Olivia products from online stores like Amazon , Flipkart and Purplle .